FLAWLESS ONE OWNER WITH PERFECT AUTOCHECK SCORE! Comes with 2 smart keys. 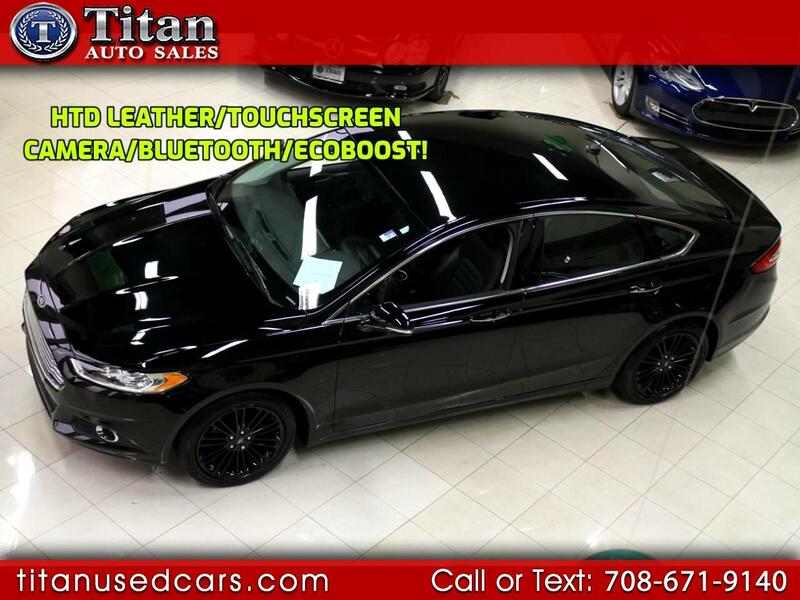 This Sporty looking Fusion features Premium 18'' blacked out wheels, a Navigation system, Back-up camera, Heated Leather seats, Heated steering wheel, Remote start, Power drivers and passenger seats with adjustable lumbar support, SYNC Smart device integration, Rear Parking Sensors, adjustable steering wheel, Carbon Fiber Interior Trim, Daytime running lights, Keyless entry and ignition, Tire pressure monitor system, Satellite Radio, Multi-zone climate control, Integrated Turn Signal Mirrors, Fog Lamps, Bluetooth connection, auxiliary audio input, cruise control, keyless entry, heated memory mirrors, power mirrors, traction control, stability control, steering wheel audio controls, rear defrost, MP3 player and a 1.5L turbocharged engine. Buy with confidence from our AAA+ rated business. Come in and see why our Quality, Prices and Reputation can't be beat. Check out our hundreds of positive Google Reviews.